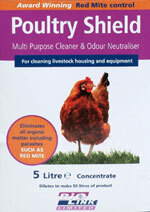 can you use flubenvet poultry pellets 5kg for quails as well as chickens and what would be the dosage for quails? I’m sorry I don’t know – It’s not tested for quail as far as I know. I would take a guess and say yes you can but ultimately a vet would need to advise you. Another one to consider would be Ivermectin which has dosage for Pigeons and other small birds but again isn’t licensed for food producing animals. I have been using Flubenvet 1% for years, however I now seem to not be able to get any. Do you know anywhere that sells this currently and may have stock or any information into why I can’t seem to find any? It is getting hard to find. Try Flubenvet mixed with Layers Pellets, they are usually available. My chooks won’t eat layer pellets! Can I use it with other food source? They might have been brought up on Layers Mash. I would try this (assuming you can find it, it’s not very popular) and gradually switch them over. They will usually start eating pellets when they get hungry though! I would normally start worming them when you get to the first winter after they moult. How much acv and or crushed garlic in water ? I normally put about 2% ACV into water. Thx for your informative article. 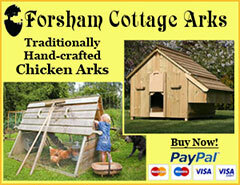 I have a flock with 7 week old chicks, layers and a cockerel and I am being given some new layers on Wednesday. I would like to worm them all with Flubenvet feed but is it safe for the chicks to eat this. Basically the question is what is the age can you start using Flubenvet please? Many thx. Yes it is safe but why worm them so soon? I would normally wait until they are a little older. 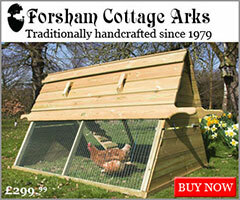 Hi, we have ‘rescued’ two bantams that were abandoned in our local woods. We have no idea how old they are or what breed (I’m still googling to find out!). Am I right in thinking that it would be a good idea to worm them as a matter of precaution? Also, what other health related precautions should we take, other than all of the general things regarding cleanliness etc. should I give them a flea treatment for instance? Thanks! Firstly, I would check to see if they are cockerels – these are often dumped unfortunately and by next spring, they will be fighting. 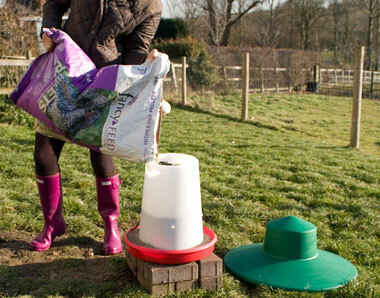 Yes, you can worm them using Flubevet – there is a shortage at the moment but it’s available pre-mixed in pellets. You can check between the feathers on their skin and around the vent for lice (fast moving, skin colour) but unless they have lice, there is no need to treat them. Chickens don’t get fleas. Thanks for your response! One of them is definitely a hen as she laid one egg…but no more so far. The other one we think is a hen, she has hardly any comb (although I have no idea if this means anything!). I have got some Verm-x to start the worming treatment on a regular basis as the one we aren’t sure of is pulling her feathers out. 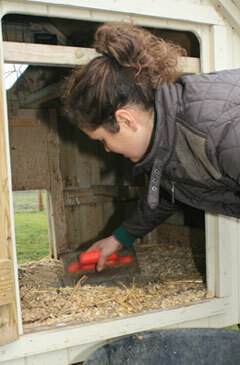 I have dusted the new coop liberally with diatom powder and am going to dust the birds tomorrow. 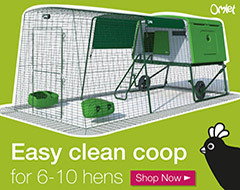 How will I know if he/she is a cockerel? There’s normally a reason Nancy- so I would check through the list on poultrykeeper. The trouble is, it can take a while for them to come back into lay so you also have to be patient I’m afraid. Ex Bats usually have a very good feed to egg ratio and they will eat well in order to produce all of those eggs they produce. 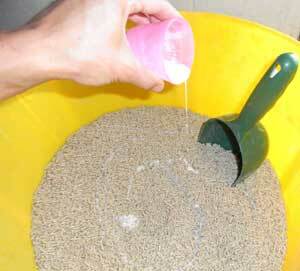 Make sure you’re feeding pellets or mash with the correct protein levels (not kitchen scraps etc). Flubenvet isn’t measured per hen (each consumes a different amount) you just need to feed the correct amount in with their feed for 7 days. If you want to know how much this is, weigh out what you give them for a week and you’ll know how much to mix up with the Flubenvet when you give it. Remember hens consume more in winter as they eat to meet their energy requirements and in winter need to burn more calories to keep warm. Watery egg whites occur in older hens (particularly high production hybrids such as Ex-batts) but can also be as a result of having had a disease in the past such as Infective Bronchitis. Great article which has just answered many of my questions. Thanks for great article. I have recently lost a hen directly after worming with flubenvet (for the first time) – had previously used another type of wormer in the water but was advised flubenvet was better. This hen had always made a strange noise like a ‘snick’ I think it’s called. She was otherwise healthy, eating and laying …. Although she did stop laying about 5 days before worming. The other 3 girls seem to be fine. Any ideas if it’s related? Would hate to think I killed her by worming her!! 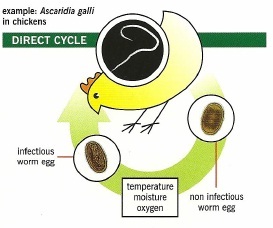 It could be a complete coincidence although, if a hen is heavily infested with worms, it is possible for them to die when wormed. 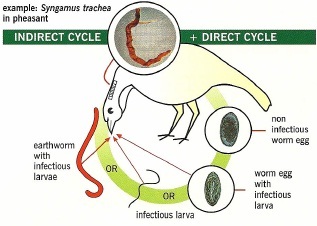 This is because there are a lot of toxins given off when the worms die. I haven’t heard of it actually happening to anyone but I’ve read about it.